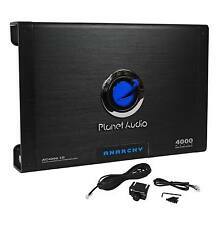 Audiopipe APCLE-15001D-1500 Watt Mono Class D Amplifier BRAND NEW! Skar Audio engineered the RP-800.1D Class D monoblock subwoofer amplifier to be dominant in both power and reliability compared to anything else on the market in its' class. 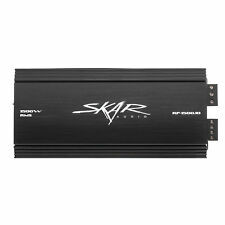 Skar Audio RP-800.1D Monoblock 800 Watt Class D MOSFET Subwoofer Amplifier. 1-Ohm Stable Class D Monoblock Amplifier. 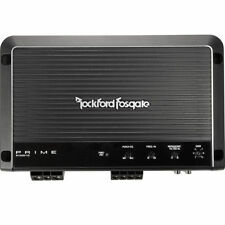 POWER ACOUSTIK BAMF1-5000D. 5000 WATTMONOBLOCK CLASS D AMPLIFIER. Direct Short, Thermal, and Overload Circuits Protect Amplifier. Die Cast Aluminum Alloy Heatsink for Optimum Dissipation. Brand New In Factory BOX, 1 Year Full Warranty! RMS Power at 1 Ohm: 1 x 4,000 Watts. RMS Power at 2 Ohm: 1 x 2,500 Watts. RMS Power at 4 Ohm: 1 x 1,500 Watts. RMS Power at 4 Ohm Bridged: 1 x 4,000. RMS Power at 2 Ohm: 1 x 2,500. RMS Power at 4 Ohm: 1 x 1,500. Car Audio APMI Series Class-D Monoblock 1-Ohm Stable Mosfet Amplifier. CEA-2006 Compliant Amplifier. 3-way protection circuitry (thermal, overload, and speaker short protection). 4 ohms: 540 watts x 1 channel. Class-D 1-Ohm Stable Monoblock Amplifier. Power Acoustik BAMF Series BAMF1-8000D. 3-way protection circuitry (thermal, overload, and speaker short protection). Mono channel operation. Total power output: 8000 watts. 1-Ohm Stable Class D Monoblock Amplifier. 8000 WATTMONOBLOCK CLASS D AMPLIFIER. POWER ACOUSTIK BAMF1-8000D. Direct Short, Thermal, and Overload Circuits Protect Amplifier. Die Cast Aluminum Alloy Heatsink for Optimum Dissipation. BRX1516.1D - Hifonics Monoblock 1500W RMS Super Class D Brutus Amplifier. Brutus Series Monoblock Class D Car Amplifier. 3-way system protection circuitry (thermal, overload and speaker short protection). L@@K!! BRAND NEW IN BOX & FREE SHIPPING!!! 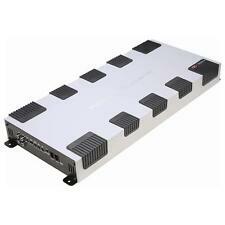 Hifonics Brutus BXX4000.1D Class D 4000 Watt RMS Mono Car Amplifier. The rock solid Ultra-Fi™ MOSFET outputs are selected for both balance and output power. Item Code: BXX4000.1D. Authorized Hifonics Dealer! 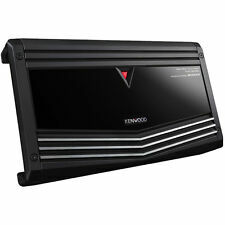 Car Audio 1-channel Mono block Class D Amplifier. 4 ohms: 425 watts x 1 channel. 2 ohms: 860 watts x 1 channel. 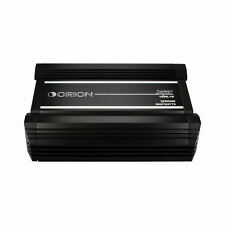 1 ohm: 1250 watts x 1 channel. Max Music Power: 5000 watts. Signal to noise Ratio: 93 dB. AUTHORIZED AUDIOPIPE DEALER. 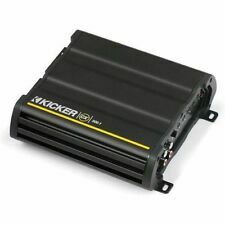 Rms Power: 1,500W x 1 @ 1-ohm. 3-way protection circuitry (thermal, overload, and speaker short protection). Bass Boost: 0 - 12dB. Burnt voice coils. Variable Low Pass: 40Hz - 180Hz. People spend a lot of time in their cars. Thankfully, we have car stereos to keep us entertained on long drives and our monotonous morning commutes. 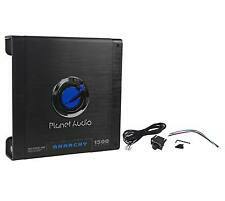 You can improve on a great car sound system with a quality mono amp; eBay has some available for purchase. What are the wattage options for class D mono amps? 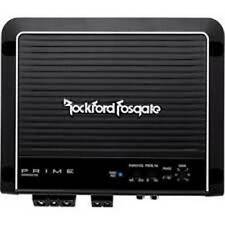 Amp wattage measures the amount of sound the amplifier can handle. The higher the wattage, the more volume it can pump out before breaking up and distorting. If you plan on blasting music at a high volume in large rooms or at crowded parties, you probably want to look for a mono amp with a higher wattage. 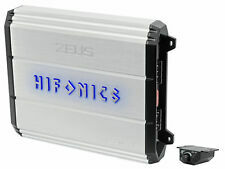 The following are some of the available options you can choose from when choosing an amp on eBay. Some of the highest wattage amps are designed for subs, so be sure you are purchasing the right kind of amplifier for your needs. 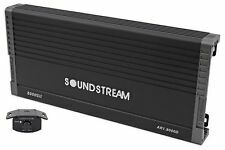 How does the mono amp connect to the sound system? There are various ways that the amplifier connects to the rest of the sound system. Commonly, the receiver will connect to the amplifier with 1/4-inch or RCA cables. After that, the amplifier will be run to the speakers using RCA cables or speak-on connectors. It is important that you ensure that your amplifier is compatible with the rest of the sound system before making a purchase on eBay. Can you control the bass on class D mono amps? Yes. Certain models of mono amps come with a bass knob, allowing you to control the amount of bass being pumped to the speakers from the amplifier via the crossover. This allows you to modify the sound being played to properly fit your automobile. The last thing you want is too much bass rattling your car so much you can hear it down the street. 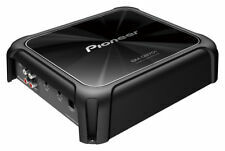 Are mono amps small enough to fit in cars? Yes. 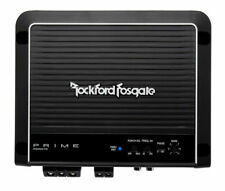 Regardless of the size of your car, you will be able to find a mono amp to fit it. The units are designed to power car sound systems in all kinds of vehicles, including compact cars, hatchbacks, and smaller sedans. If you are unsure about the compatibility of the amp with your car's sound system or the current receiver, check the owner's manual. It will list the kinds of amps that will work with it, preventing you from making a purchase you can't use.